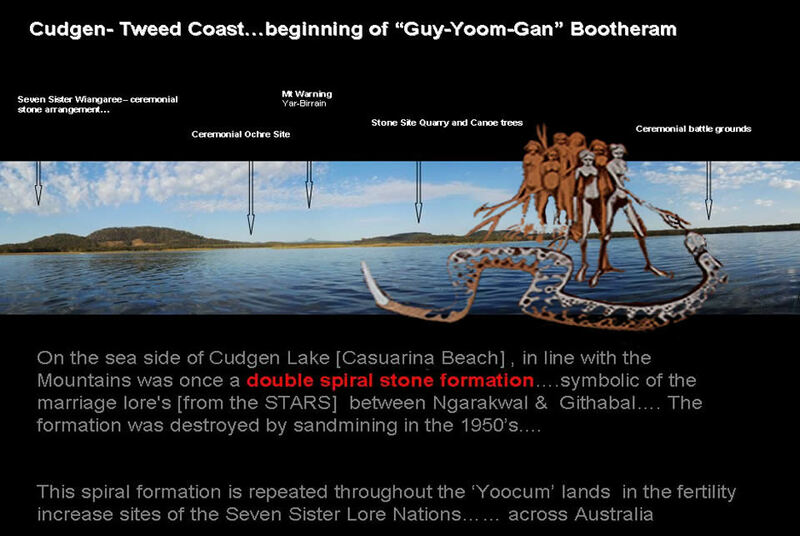 “I want to share with you a creation Bootheram about Skinlore marriage lore which links the two most eastern volcano’s of the Australian continent together – from the stars…… This Bootheram that was related by Ngarakbul Great Grandmother Charlotte Brown from the Tweed Volcano where Yar Birrain [Mt Warning] is the centrepiece of the Ngarakbul ancestral estate……it aligns with a sacred Lake – Coogen Lake” – which flows to the sea at Kingscliff , once known as Coogen Headland”…. 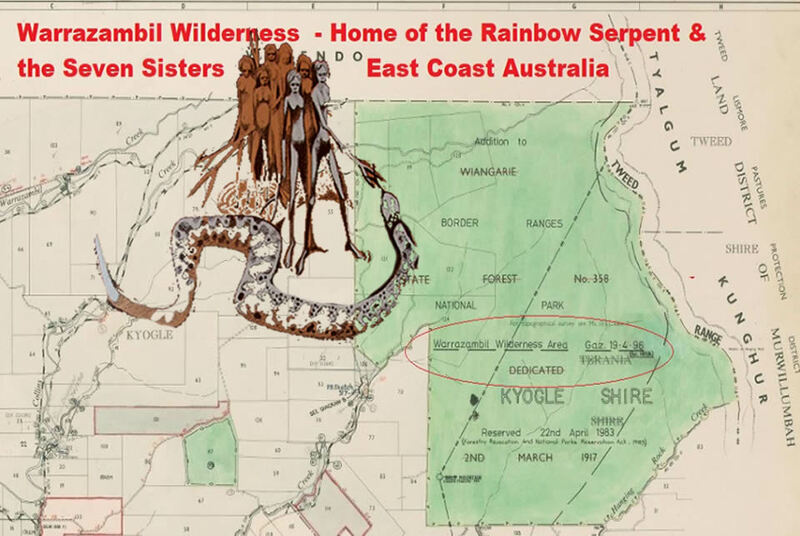 This story governs of the kinship skinlore and it comes directly from the Star Ancestors…..it is written in the sky and into the ancestral landscapes…it is very sacred to the Ngarakbul people”. 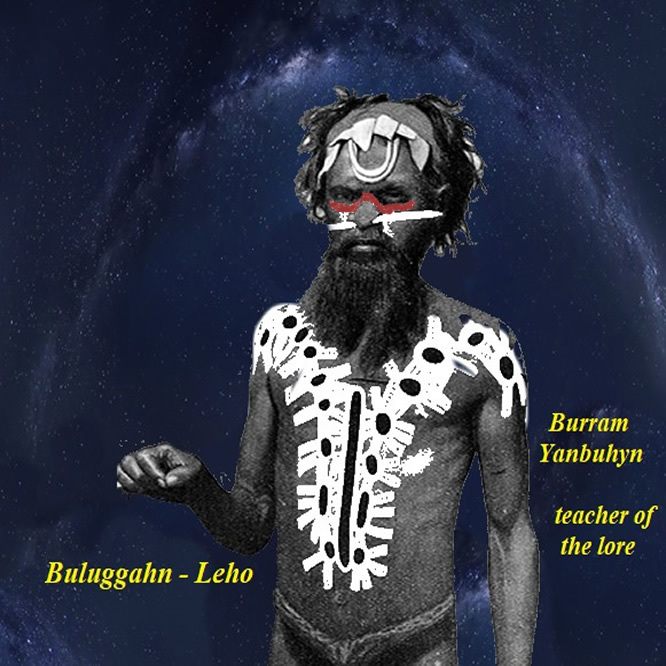 “It tells of a sacred union between two volcano tribes …the Ngarakbul and the Githabul in an ancient tribal Skinlore Marriage from the Dreamtime……back then there lived a young beautiful girl called Kumbarra. Her people were the Beereen people of the Ngarakbul moiety”…. “DAWNTIME…when all creation was created – there were also people of the Spirit World made. 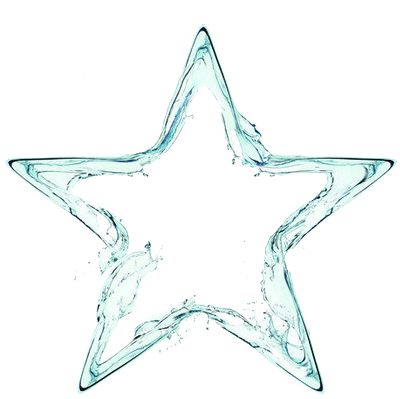 Now the name of the Good Spirit people is Wooyun – Wooyung ….. They are a kind of fairy people. You may behold these people for they look like ordinary mortals, but they are only seen for a little while” …. “It happened that one day the fairy people were travelling down to Coogen Heads and with them was a lovely young fairy girl. Now this girl had been promised in marriage to a young man brave as he was handsome, for he was in charge of a Bora Ring – the sacred Ring – to where all young men must go for the initiation Ceremony so that they may be proclaimed men of their tribe. For a man to be placed in charge of a Bora Ring he must indeed be a good man, so all the people of the tribe many know that he is worthy to be placed in charge of the SACRED BORA Ring”…..
“When the time had come that the young fairy woman had reached womanhood she thought of the man, the young man to whom she had been given in marriage when a child. The dawn had kissed many days and the stars had kissed many nights since she had seen him last. Then one day she saw him in at Coogen Heads – she knew he was the man to whom she was promised in marriage – for her heart told her so”. “When the battle had been fought at Coodgen Heads, the young man went to his home at Meeahan, which is the name by which Crown Mountain was known to the tribe of the young man. So the fairy woman set forth to seek her lover – she came to Meehaan, and the people of there told her “yes ! the young man whom you seek and who will be your husband came home but is gone again”..So she set forth on her journey of seeking her husband, carrying with her the bark of the Ti-tree, she had brought with her from Coogen Heads”…..
“ Cudgen Lake – that’s the beginning of the Rainbow Serpent SUMMER SOLSTICE Star Lore, Marriage Lore, – it is sacred to the Women and their StarLore of the Seven Sisters, which tells of the creation, and strengthens the ‘connection to country’ through Grandmother Lore ……this same creation lore links all the moieties together across Australia…and that is why it has been targeted for genocide “…..